1924. Canton, Ohio. 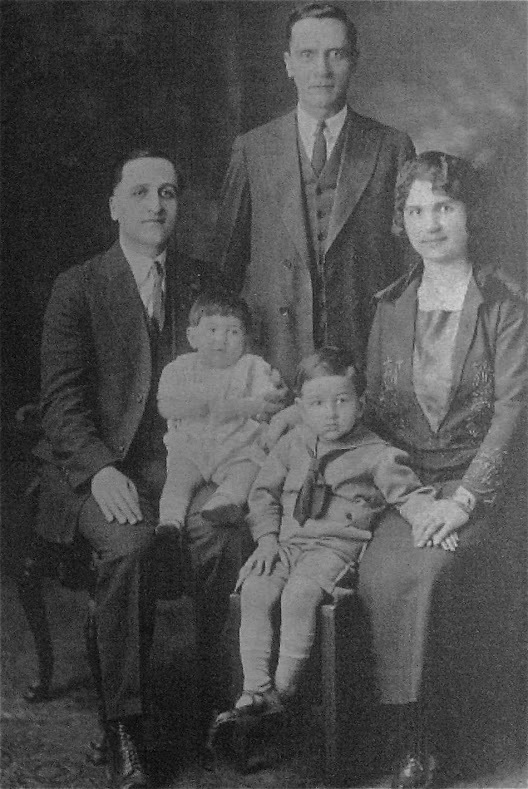 Demetrios and Eva Doundoulakis with sons Helias and George. Uncle Manoli, Demetrios' brother, standing. 1930. Helias Doundoulakis in second grade, Archanes, Crete. He and his brother George were well-known as the "Americans," and Helias became popularly referred to as "Louis." Both had not forgotten that they were Americans, the land of their birth, and spoke English. 1941. 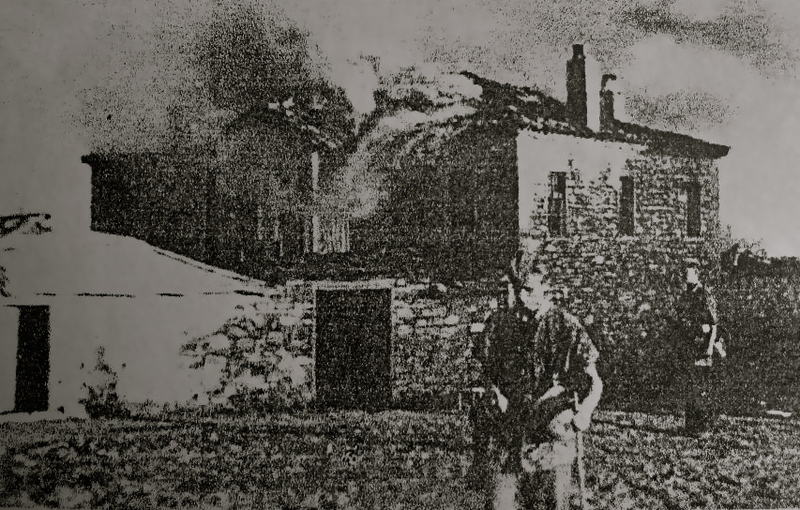 After the German invasion, German soldiers would burn Cretan villages that aided the British, New Zealand, and Australian soldiers. 1941. Retribution by the Germans was swift and merciless. 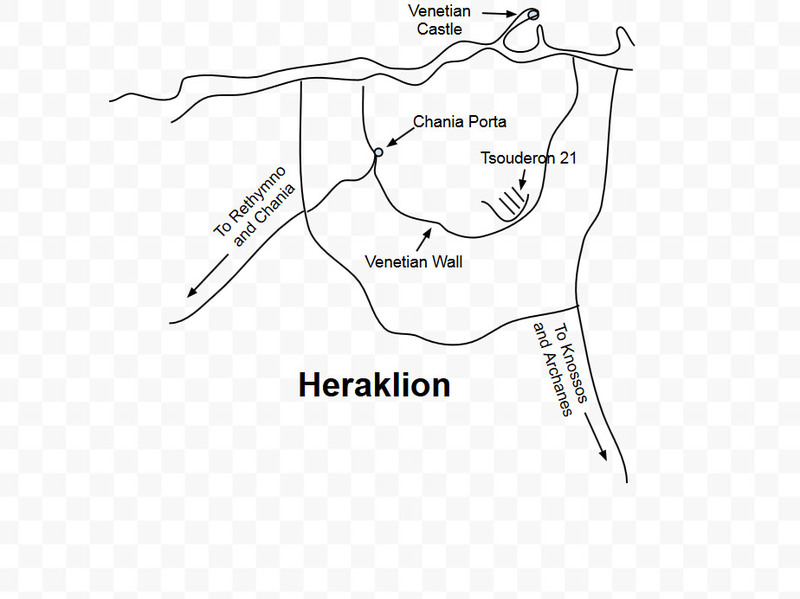 Here, Cretans are rounded up and executed. 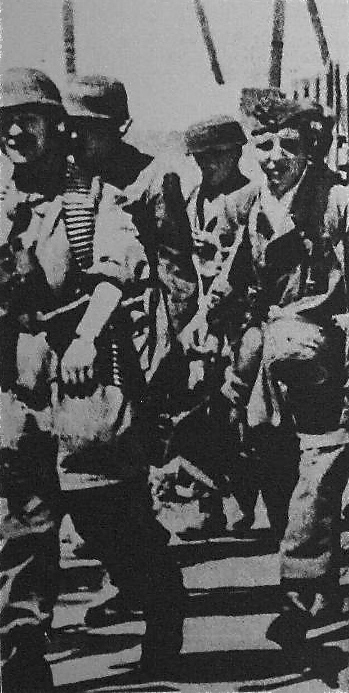 Victorious German troops entering Chania, Crete, end of May, 1941 (found on German prisoners after the war). 1940. 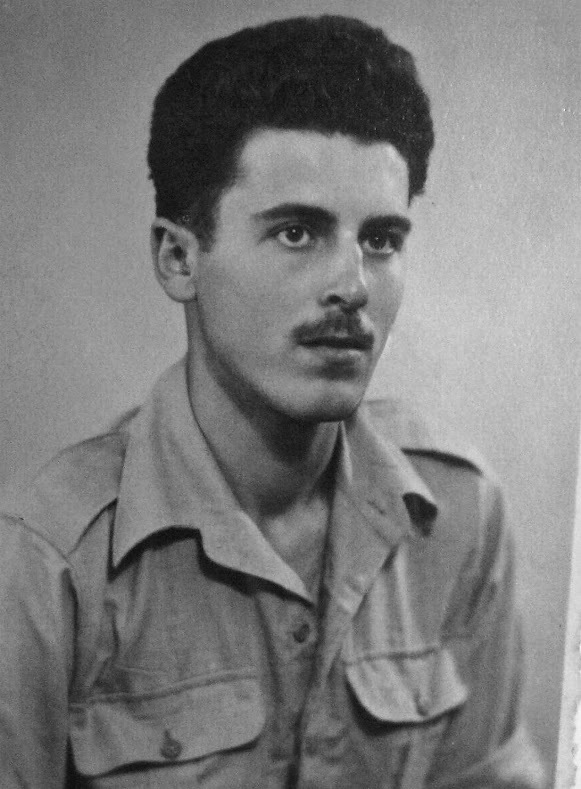 Patrick Leigh Fermor of the SOE, Special Operations Executive. He befriended George Doundoulakis, and took over SOE operations after Thomas Dunbabin left. 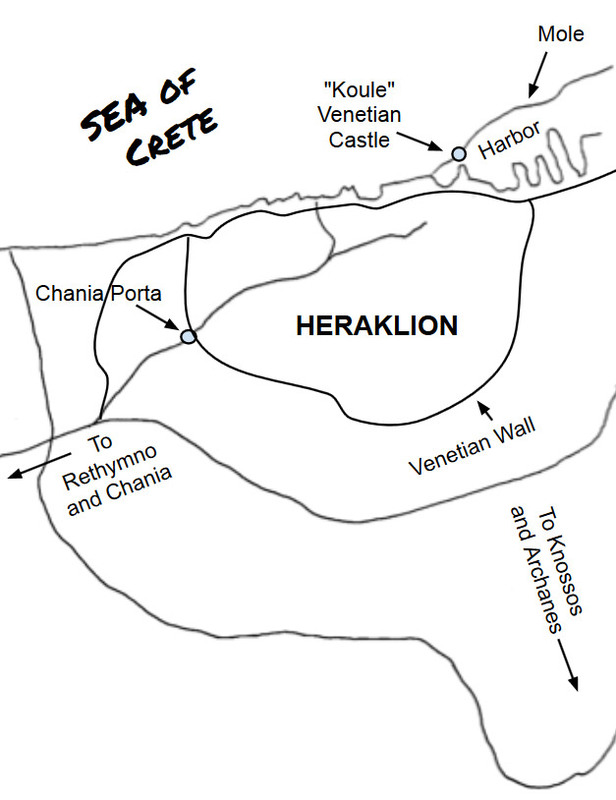 George's organization would gather information regarding German troop, aircraft, and ship movements from Heraklion, which would then be relayed to Leigh Fermor. 1942. George Doundoulakis organized a resistance group from his friends, classmates, and former teachers, especially those working in German offices. 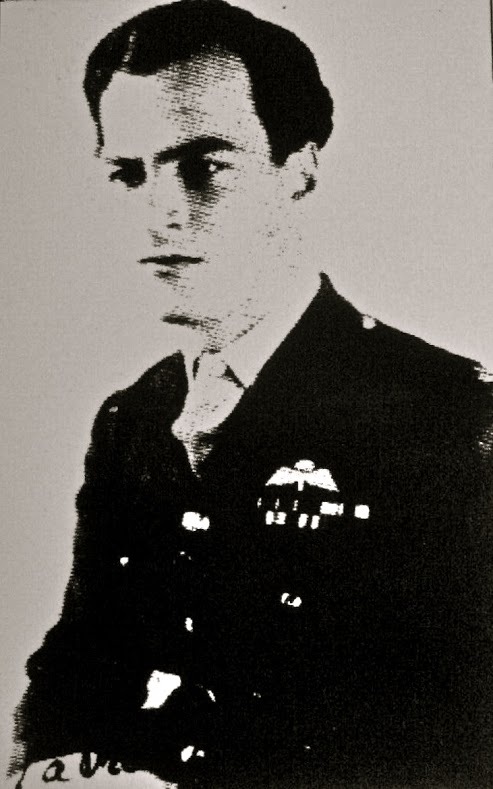 Later he plotted and assisted in the destruction of the Kastelli airfield sabotage. 1942. 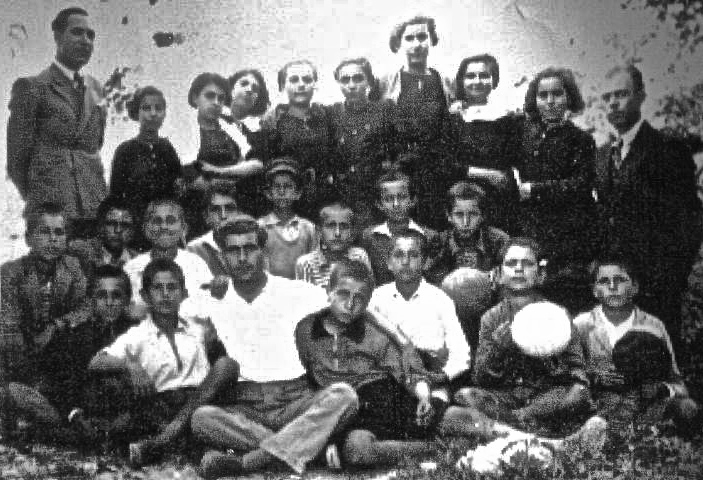 John Androulakis and Helias Doundoulakis in Heraklion, Crete, as high school students and members of George's organization. 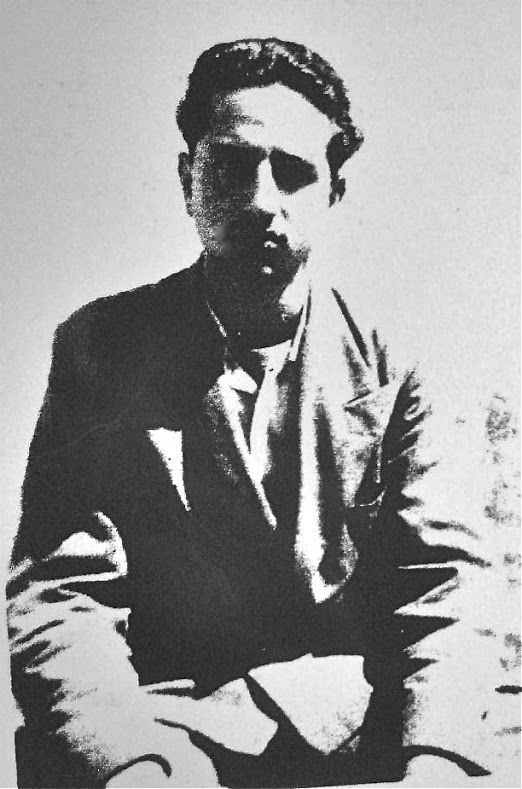 Besides the hand grenade, Androulakis always carried a pistol in his coat pocket. 1941. 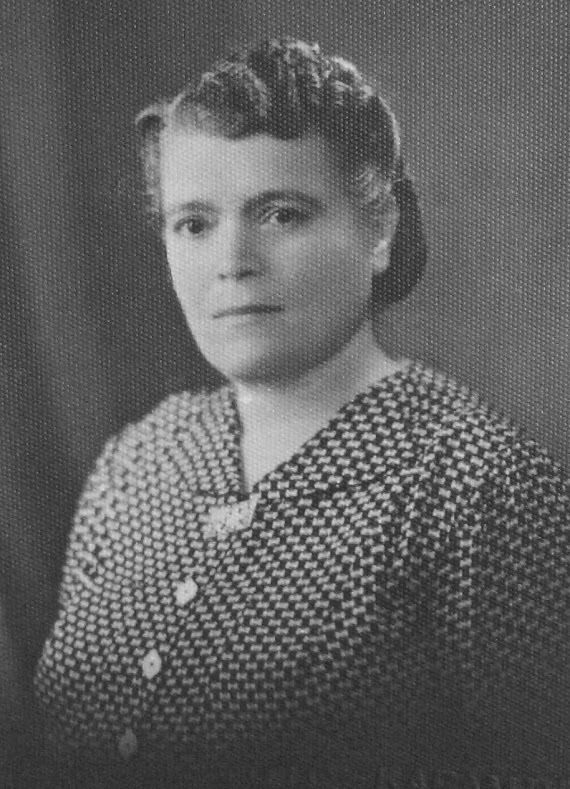 Kyria Maria Androulakis, John's mother. 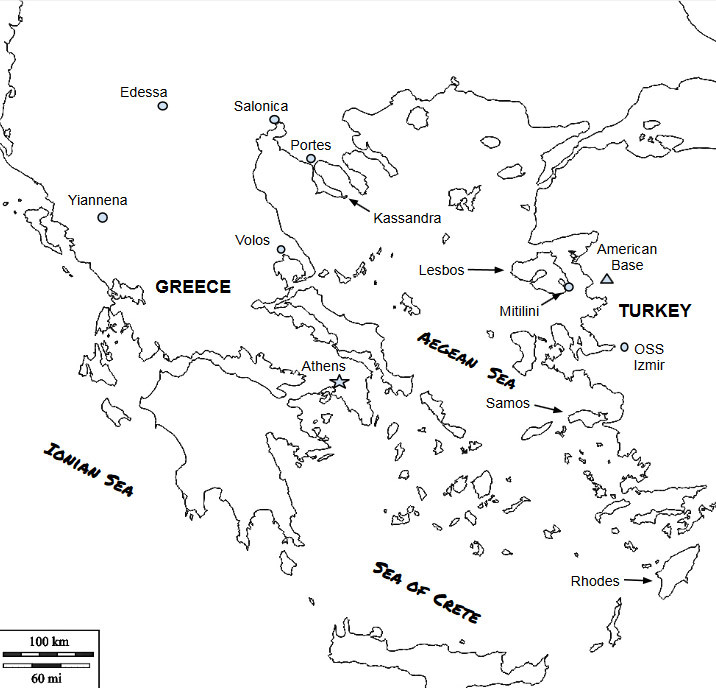 Her house in Heraklion was used as the headquarters, and her brassiere for hiding the most important documents of George’s organization. 1942. 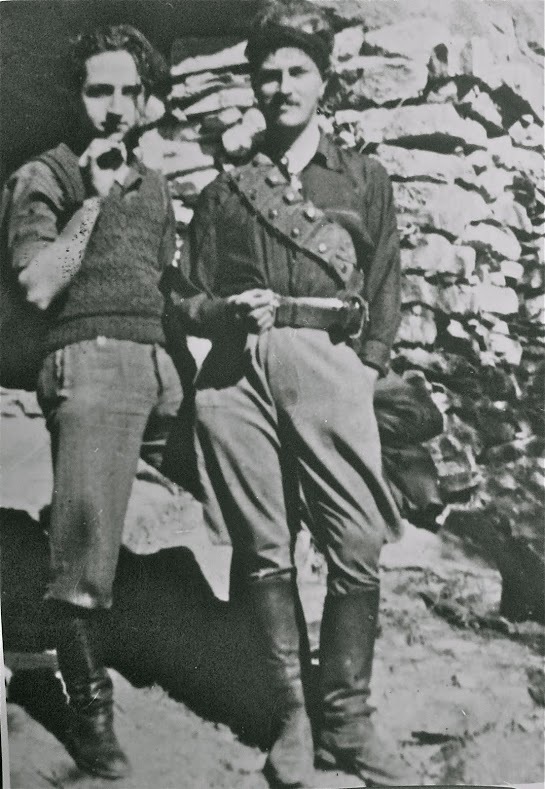 Captain Patrick Leigh Fermor, right, with George Doundoulakis in the Psiloritis Mountains. 1942. The Psiloritis Mountains hideout with Manolis Bandouvas, center foreground with cigarette. 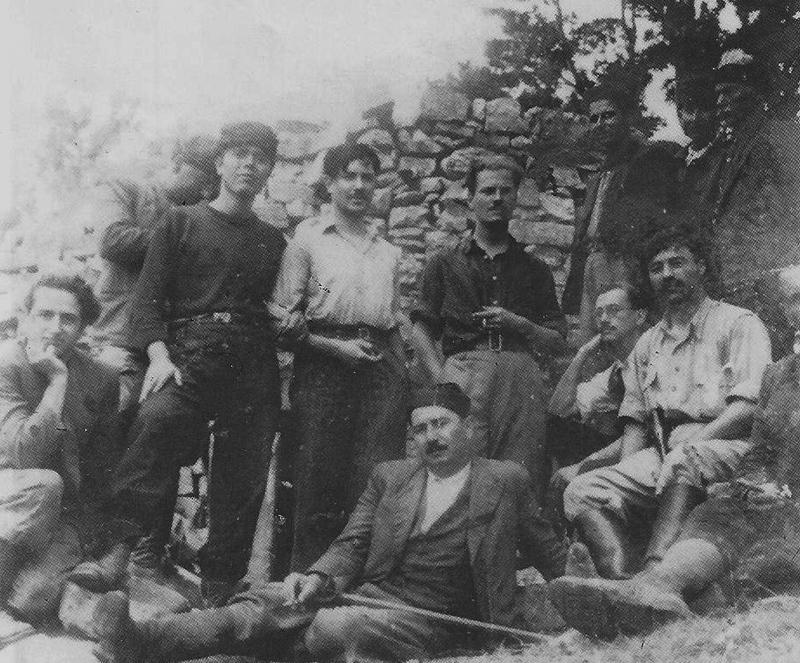 George Doundoulakis, far left. Patrick Leigh Fermor with cigarette standing behind Bandouvas. 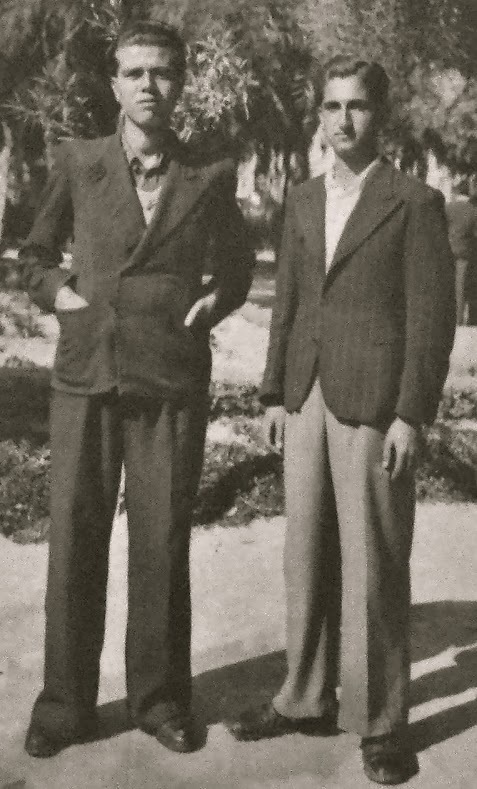 John Androulakis, standing next to George with black "mandili" or headscarf. Bandouvas' bodyguards on right. February, 1943. 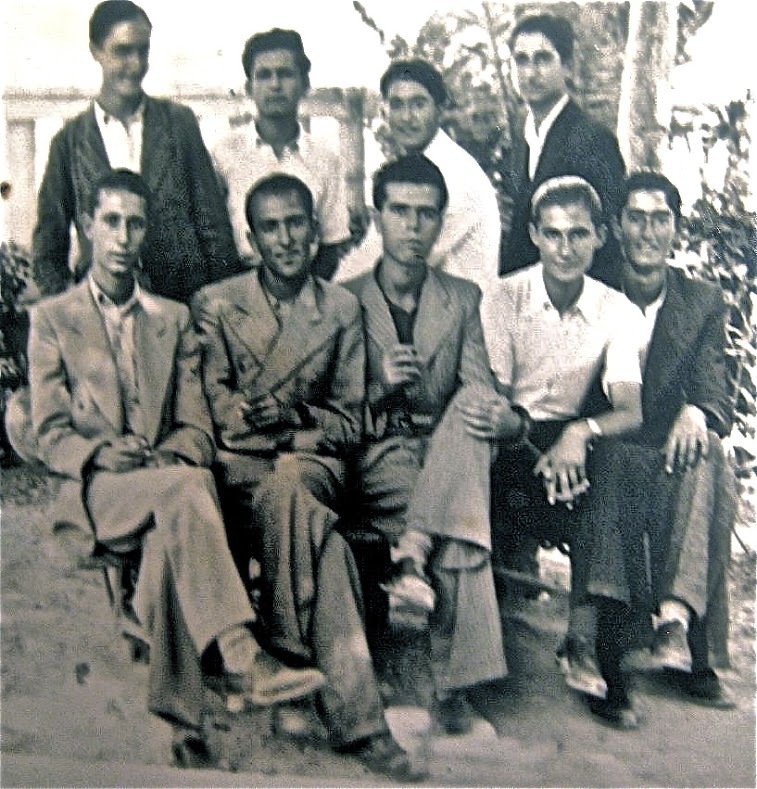 Early high school graduation, Heraklion, Crete, a clever ruse by the Germans to release young men into the workforce. Helias Doundoulakis, standing far right. John Androulakis, front row, center. John was nicknamed "Hyrobombida", or hand grenade, by Captain Leigh Fermor for his habit of keeping one in his pocket. 1941. Sifis Migadis. 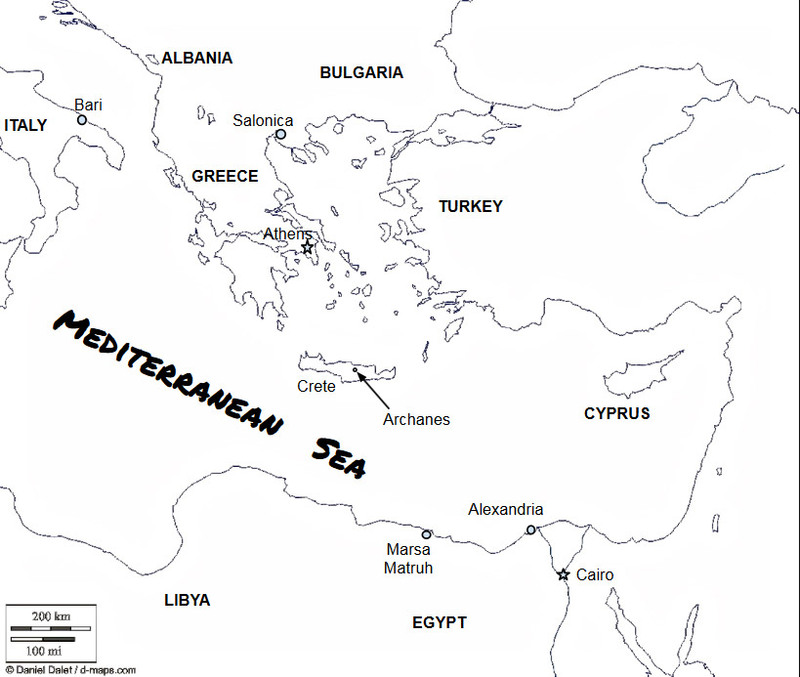 George had sent both Migadis and John Androulakis to kill the traitor before he could inform the Gestapo, but were too late.